Deciding on where to live is one of the most challenging decisions you will make in your lifetime. 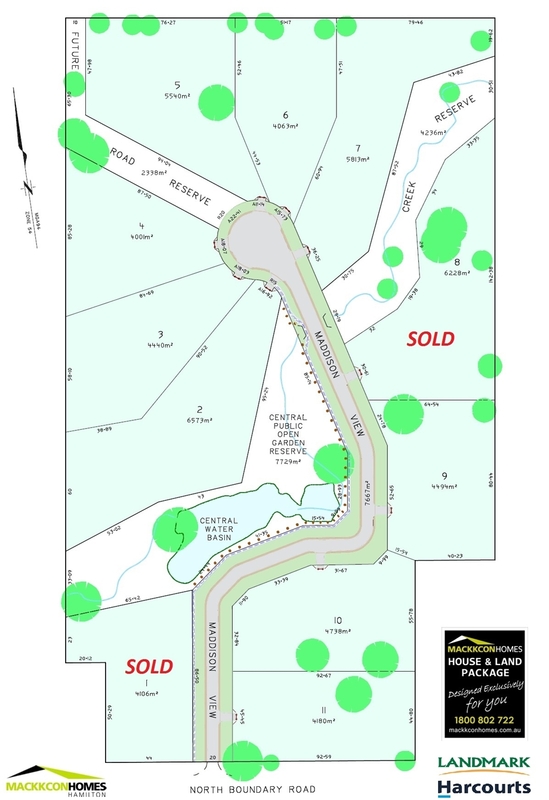 Northern Heights Estate offers a rural development in Hamilton with the best of both worlds. Set amongst a rustic rural setting of red gums and designed for rural living, yet close to town this development is just waiting for your dream home. With an attractive winter creek flowing through with a central water basin and a public open gardens area with walking tracks, seating and bollards, Northern Heights Estate offers a country lifestyle with an edge. Offered to you today is Lot 4. This part of the development neighbors the road reserve and is also a level allotment. The large 4001m2 block leaves you plenty of room to build your dream home.